"Being a director is being a watcher. We have a lot of egos in the room, and you have to sort of watch how they interact with each other." Get a load of this! 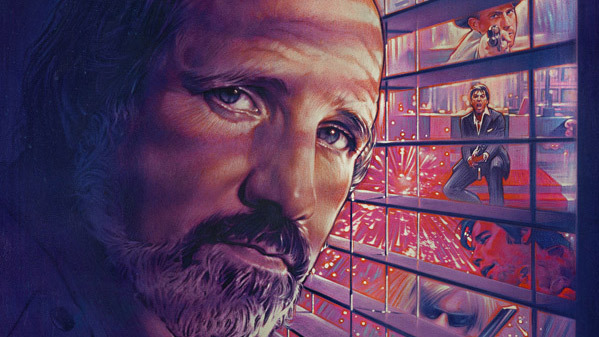 A24 has debuted a trailer for the documentary De Palma, from directors Noah Baumbach and Jake Paltrow profiling filmmaking Brian De Palma, who has made plenty of memorable movies between Mission Impossible, Carrie, Scarface and Blow Out. This new doc examines his entire career and the way he pushed back against the values of Hollywood at the time he was making films early in his career. It first premiered at the Venice Film Festival last year to mostly positive reviews, even though it seems they only have one long interview with De Palma in one location. For anyone who loves filmmakers or the art of making movies, this is a must see documentary. Get your first look below. In this lively, illuminating and unexpectedly moving documentary, directors Noah Baumbach and Jake Paltrow engage in a personal and candid discussion with De Palma, exploring not only his life and work but also his singular approach to the craft of filmmaking and his remarkable experiences navigating the film business, from his early days as the bad boy of New Hollywood to his more recent years as a respected veteran of the field. In the end, what emerges is a funny, honest, and incisive portrait of a truly one-of-a-kind artist, and an exhilarating behind-the-scenes look at the last 50 years of the film industry through the eyes of someone who has truly seen it all. Directed & Produced by Noah Baumbach & Jake Paltrow. This first premiered at Venice last year. A24 will release De Palma in theaters starting June 10th. When he was on a hot streak, he was FIRE!!! I just like when you state your opinions like that, not willing to give in any 'legends' or conformist believe. I guess, it has to do with you career and seeing things in the film industry. I never thought what to believe about De Palma. I watched his films as something that was a good subject to talk about with people, not to think too much about it. However, I like what you said about the depiction of violence against the women. Unfortunately (for DePalma movies), I might agree about that. I remember Body Double as extremely ugly violent depiction of, as you rightly said, pornographic violent outburst on women. I think he belonged to one of those people who like to indulge people with a lot of visual and violent splendor and not thinking about the consequences of it. Or is thinking of it as an craftsmanship of special kind, like he's setting some new standards. He was very influential, when I think of it, in making movies looking so attractive to audience. Which means, he was good for movie business but bad for general attitude to violence. They forgot to mention "The Fury". I loved that movie. Spies...telekinesis...Amy Irving in a bikini...Kurt Douglas...and lots of blood. What's not to love? DePalma pretty much emulated Alfred Hitchcock.